* THE CHRISTMAS BIKE: AVAILABLE NOW! Award winner for the LUW winter contest! *Great little book that uplifts the soul and reminds you that Christmas is about more than getting. Perfect novella to read to start the feelings of thanksgiving and love in your heart for the season. Best part is — its true. Lovely insight into giving, receiving and forgiving. *A beautifully written novella about love, guilt, life’s trials, generosity and God’s hand in our lives. This is THE perfect Christmas gift to remind us what is truly important in life, and during the holiday season. Synopsis: Christmas is already going to be tough for Marie and her family. When a series of events is set in motion long before a Christmas Eve tragedy, she is too occupied to notice God’s grace. An emergency letter to Santa sets her on a quest for a Christmas miracle. With time running out, she prays for the first time in a long time. A miracle does happen, but it is not what she expected. Here is a behind the scenes look at writing The Christmas Bike. –Finalist for the MBUN 2014 competition! 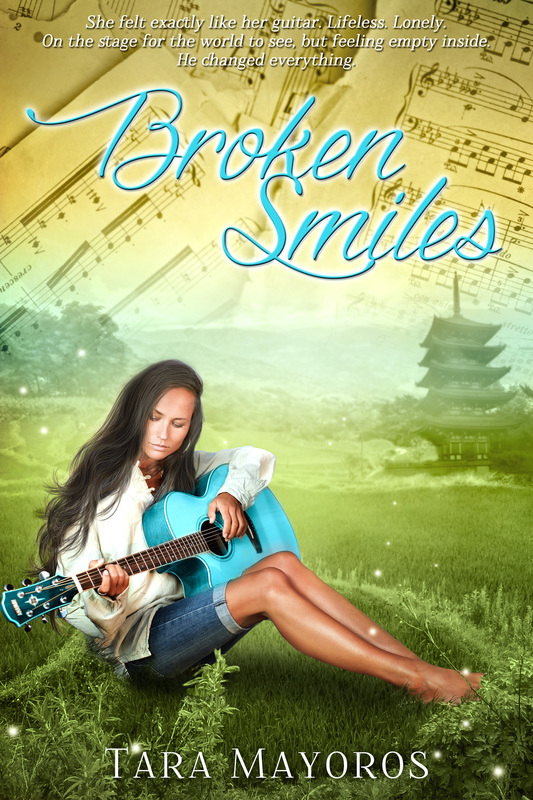 In the novel BROKEN SMILES, Laidan Swanson rises from ashes of sorrow to the top of the music billboard charts, only to find that her desire for fame is overshadowed by her desire to serve. She escapes her identity and flees to find the humanitarian doctor and the Chinese children depicted in a brochure that she came across in a hospital lobby. While performing at the Grammys, the pressure from the music industry becomes too much for Laidan. She is quickly carried off the stage, leaving the world audience stunned and amazed by her emotional performance. Accompanying her are a trusted bodyguard and a close childhood friend. Together they make for the jungles of China where she meets Doctor Rafe Watkins, a humanitarian doctor who has reasons of his own for why he has chosen to live deep within the bamboo forests. The handsome doctor is building an orphanage and runs a clinic that fixes children’s broken smiles or cleft palates. Watching him perform his many acts of kind service, Laidan’s “broken smile” is also healing and she begins to fall deeply in love with him. She has finally found a place where she belongs. One problem – because of Rafe’s intentional seclusion from society for the past seven years, he does not know Laidan’s true identity. What will he do when he finds out? Can love conquer all, or is Laidan’s rock star fame too big for his quiet life? A foundation called the Broken Smiles Project is in the works and with every purchase of the novel, donations will be made to help the children who suffer with the true conditions depicted in this story. 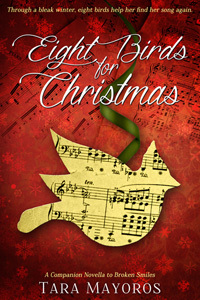 *EIGHT BIRDS OF CHRISTMAS: AVAILABLE NOW! In this Christmas novella, a Holiday funeral sends Laidan into a dormancy of sadness. Birds appear to her one by one as gifts that help her through this time of grieving. Each birds carries with it a word and a hope that things will begin to look up. These birds also reveal memories of her past and glimpses into how she can become a better person. By taking to heart these gifts the birds bring, Laidan begins to realize the true meaning of Christmas.